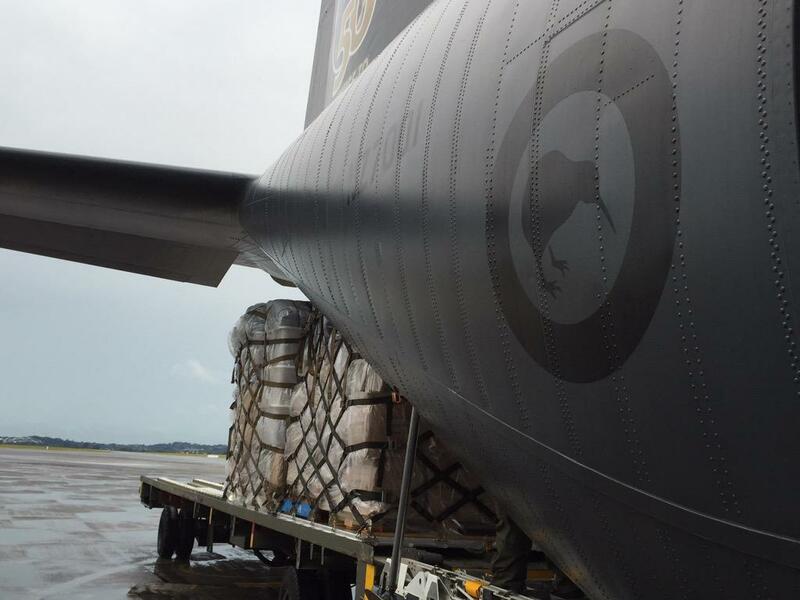 The news from Stuff (March 17 2015) that two RNZAF Hercules aid flights to cyclone Pam stricken Vanuatu failed because of instrument failure can only raise more questions about how much longer these near half-century old aircraft can be kept flying. While the Labour Government spent $226 million to extend the life of the aircraft to 2015, it is now obvious the day of reckoning is getting closer. Prof Peter Greener of the Victoria Center for Strategic Studies trotted out a rather pathetic analysis in the Dominion the other day which could have come directly from the closed minded, idiots which seem to dominate New Zealand military thinking. It was, essentially, look at what the Australians are doing, with reference to some ancient RAAF AIR-9000 studies which must be at least a decade old by now. Meanwhile a more important story was recently published in Aviation Week detailing the first flight of the Embraer KC-390. Based on Embraer's commercial regional COTS aircraft technology but taking into account the needs of modern medium sized nations flying old C-130s, the KC-390 is a sight for sore eyes. Way faster, significantly cheaper (~US$50-60 million), with the huge added bonus of intrinsic air-to-air refuelling the KC-390 flies rings around turboprop equivalents. It has exactly the same payload to range specification as the C-130J, the latest Hercules offering from Lockheed Martin which starts at US$72 milllion a copy according to the latest US appropriations. With a bit of work the KC-390 could make sense of the airforce's otherwise undeployable NH-90 helicopters. The NH-90 does not have the range to reach any other country by itself, and when it was delivered it had to be transported in a Russian Antonov 124 - one of the largest freight aircraft in the world. By installing air-to-air refuelling on the NH-90s they could finally make long range flights into the Pacific if needed. The other benefit of the KC-390 is that it can refuel other KC-390s enabling longer ranges with larger payloads. Lockheed Martin charges an arm and a leg for the KC-130J which is a dedicated tanker aircraft, not a multi mission aircraft like the KC-390. The alternatives to the KC-390 all have serious problems. The A-400M turboprop is twice as expensive as the C-130J , although it is bigger and faster it isn't twice as big and won't easily carry either the NH90 nor the LAV-III any useful distance. That means the cost benefit of the A400M is not competitive. The A-400M has also had significant teething problems and it has a very long existing delivery list. The Kawasaki Heavy Industries C-2 is potentially a very good aircraft. It is like a commercial off the shelf version of the C-17 Globemaster. Cheaper to own and operate it is not designed to the same intense military specification as the American aircraft. Given that most of the missions the RNZAF fly are not military grade (hence their very clever acquisition of the B757 combis) the C-2 can't be excluded. The only problem is the Japanese are very touchy about both military exports (not allowed under the constitution) and whales (which could be a point of conflict). While dreamers may talk up the C-17 it is simply not an option. At $333 million each one C-17 would cost almost as much as an entire new no.40 squadron, and one aircraft is a nonsense. New Zealand taxpayers will not be interested in spending billions on dollars on military aircraft when far cheaper alternatives exist. The KC-390 is not available just yet, but there is no doubt in my mind that this is the aircraft which should replace the venerable Hercules when it is finally decided to put it out to pasture. Anything else would be a huge waste of public money. Airbus Defence has recently taken to advertising its wares in the pages of the Dominion next to ads about cheaper cuts of mutton. Obviously very few shoppers have $250 million dollars ready to buy one should the thought occur. Such advertising is placed, however, for different reasons. One is leverage over reporters. Reporters can't help being slightly cowered by interviewees telling them they have spent significant sums on advertising. Another is to signal to the Ministry of Defence they are ready to take their wares to the public should a specification be written so narrowly that only one tenderer can win. (As Thyssen Henschel did when the LAV III spec was clearly written so that only the LAV III could win it - a pity as the Fuchs II was a far better overall solution for New Zealand than the LAV). And of course, the third reason is to draw public attention to the fact that defence planners are obviously kicking aircraft tyres and to stir public debate - of the kind this post is aimed at. It will be interesting to see whether the Dom prints my letter to the editor on this subject. So far they have excluded by comments possibly on the grounds that they linked to this blog. The alternative, of course, is that they are in the pocket of their advertisers.